Off-Road Articulated Dump Trucks are heavy duty trucks specifically designed for loading and unloading all kinds of construction material stuff such as sand, concrete stone, debris, mud, and dirt etc. 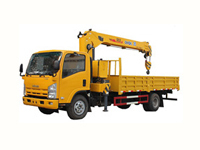 They are built with sturdy and robust kind of dump truck design structure for handling transportation on all kinds of inclines and slippery rough terrains. These are rigidly built rugged dumper trucks based on two joined sections namely the front section and the rear section. The back part is the open flat dump body for disposing off waste building construction materials and operated by pivoted hydraulic rams. These are all-wheels dumper vehicles capable of dynamic maneuverability on all terrain surfaces. 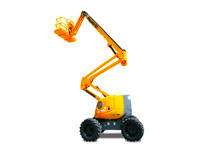 They are manufactured by leading brand companies such as Caterpillar, Volvo, and the Komatsu Limited. These heavy commercial dumpers are used in various applications like loading and unloading of material goods, road construction, airport runways, landfill operations, earthmoving, quarrying, mining, and the forestry. The concrete mixer, water tanker, container truck, off-road semi trailer hauler, hook loader, are all excellent examples of off-road performance capabilities. These articulated dump trucks are generally comprised of front steering and a rear-wheel drive with cargo loading storage capacity of 50 metric tons.